Alex's friend dies in an accident. As the family grieves, Alex tries to mask his pain, but he can't hide his sadness and other emotions forever. Whatever Happened to Marc Price Aka “Skippy” from Family Ties? Favorite TV Shows of All Time! How many episodes of Family Ties have you seen? The misadventures of a wealthy Manhattan family who adopted the children of their late African American housekeeper from Harlem. The post-retirement season is suddenly disrupted for football player George Papadapolis and his wife Katherine when Webster, the orphaned son of a former teammate, moves in. Laughter, and life lessons, in every episode. A high strung and cynical man's life is never the same when his naive but good-natured cousin comes to America to live with him. Steven and Elyse Keaton, once 1960s radicals, now find themselves in Reagan-era American trying to raise a traditional suburban family. Their three first kids are Alex (a very ambitious Young Republican), Mallory (a ditzy and boy-crazy fashionista) and Jennifer (whom we first get to know as a precocious nine-year-old tomboy). Later on, a fourth child (Andrew) was added to the Keaton family. Most of the comedy arose from the conflict between the ex-hippie parents vs the conservative Alex and the brainless beauty Mallory. Alex P. Keaton: [after Nick makes Andy a dream hat, to help him go to sleep] I had not idea Nick could be so... useful. "Family Ties" creator Gary Goldberg didn't like Michael J. Fox on his first audition, thought he played Alex a little too smart-assish. But on his second try, Fox approached it a different way and won the part that shot him to stardom. He quickly became the focal point of the show as the money obsessed teenager Alex P. Keaton. You could understand Meredith Baxter-Birney's disappointment, as the show was to be geared toward her character as the mother. But she and the rest of the cast pretty much faded into the background behind Fox. Not that he wasn't supported by a great group of performers. 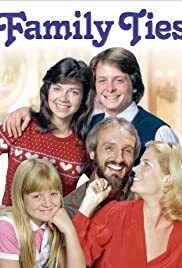 Michael Gross as the easy going father, Justine Bateman as the typical phone hogging, boy troubled teenage daughter, and Tina Yothers as the tomboyish younger sister. In later years some nice additions were Scott Valentine as Bateman's weirdo boyfriend, and making numerous appearances over the years was Marc Price as the nerdy next door neighbor, Skippy. High point episodes over the years were the Alex turns 18 one, the Alex rents out the rooms of the house one, and also the 4(!) part heartattack episode with the focus being on Michael Gross' father character, Steven. Shows major misstep occured during their final year when they tried to become too socially concious. 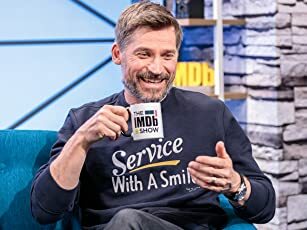 Episodes dealing with book banning, oil spills, toxic fumes from household products, and racism seemed a bit out of place and more importantly, took away from the comedy. The last hurrah was a decent episode that saw Alex move to New York to be an investment banker. But most recommended from the series would be the shows middle years, where the writing was at its best. Show also must of set some sort of record with at least 6 or 7(!) of those flashback type episodes featuring clips of the past stories. But no harm done.